I have been doing yoga for over 25 years, yoga sustains and enlivens me. My grandmother taught yoga when I was a child so yoga was never exotic or unusual to me. I started becoming more interested in art college (1980s) when I drew and practiced yoga to understand the workings of the body. I was fascinated by how you can see pleasure, and pain, in the posture of a body. After my partner had a nervous breakdown and our relationship broke I was in need of something more. I began to take regular yoga classes and felt an amazing calmness come over me. I started my own daily practice during my first pregnancy. At this point I knew I wanted to teach yoga, but it wasn’t until I was pregnant with my second child in 2003 that I started the training with the British Wheel. Picking a training wasn’t easy as there are so many options. 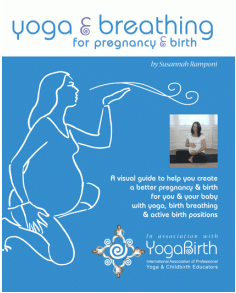 I went with my heart and a healthy dose of pragmatism and started pregnancy yoga training with YogaBirth. Run by exceptional women with an incredible depth of knowledge, and being able to take my baby with me made it all possible. As my children and classes grew I found Inner Yoga and did my general yoga training with them. I believe yoga is a gift and I also believe it needs to be regulated, so I chose a course that gave BWY accreditation as well as being based on the internal body and experiences. Whilst my training has been pivotal in my development as a teacher, my life experiences and personal practice are what has taught me most. In 2007 both children were in life threatening accidents along with our whole family experiencing carbon monoxide poisoning. I was rendered unconscious by this and suffered with numerous physical ailments. My physical body was battered and my emotional balance was in tatters. It was yoga that brought me back, slowly and steadily, to health in body and mind. I am passionate about yoga, I know it works for me and through the past 15 years I have seen it transform those I have taught. It is lovely to see suffering reduce and people come back to their shine, and to see people I have taught grow and then start their own yoga training. I love to bring the vitality, calm and transformation of yoga to others. Yoga is an integral part of my life – and a part I love to share. My interest in yoga started with my grandmother, Connie Dennison, she has been teaching yoga since the 1950s and taught into her 100th year. She was the worlds oldest yoga teacher for some years still running regular classes and expounding the benefits of yoga on national TV. She is now 101 and largely bed bound. She is still the best advertisement for yoga I know. She was fit and full of life in her 80s, active and alert in her 90s and is now slowing and peaceful in her 100s! She has done half a century of yoga and I hope to follow in her footsteps. I am lucky to have learnt from some of the most inspiring and respected yoga, and pregnancy yoga teachers.